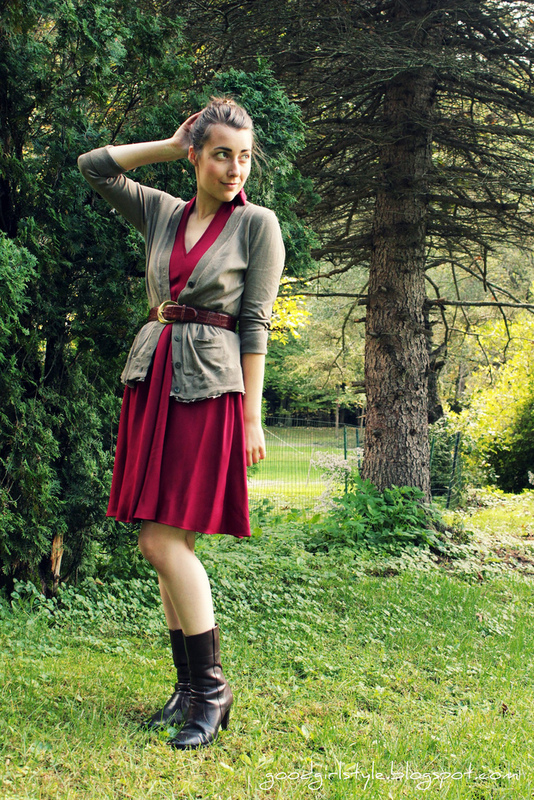 I definitely tried to make this dress more casual for daytime wear by adding the texture of a cardigan + belt _ boots. Military green + Bordeaux may be my new favorite color combination. The original use for this beautiful dark ruby dress? 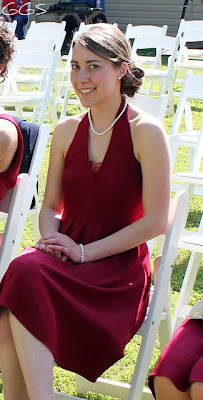 It was from my beautiful cousin's beautiful wedding early this summer! Here's the original look, which I just love! Red + pearls = makes any girl feel like a million bucks! Early Summer wedding or Autumn Layers, this dress fits the occasion! Psstt...this isn't the first time I've reworn a bridesmaid dress. Here's the other outfit, one of my very first.